In the lowlands of Marsa, Malta, which is so close to sea level that the aquifer often overflows vertically through the rock, lies a beautiful structure: a Moslem cemetery known colloquially as the Cimiterju tat-Torok, or the Turkish Cemetery. When first built, it was alone amongst the fields but it, and its later neighbour the Jewish Cemetery, have subsequently been almost completely engulfed by the development from the industrial estate nearby. Dating back to 1873, it was designed by the eminent Maltese architect Emmanuele Luigi Galizia on commission from the Ottoman Sultan Abdűlaziz I. The cemetery is the resting place of soldiers, sailors, victims of shipwrecks in Maltese waters, residents, refugees and other Moslems who expired while in Malta. I was recently privileged to visit this superb monument which is currently being restored through the efforts of the Turkish Government to whom the land belongs. Like all places of rest, it exudes that mixed experience of historic curiosity emanating from the details on the headstones and the stark realisation of the temporary nature of our brief sojourn on this earth. The purpose of this short entry today is not to describe the monument. That will be the subject of a future entry, complete with photography. Rather, it focuses on the strong message forthcoming from the marble plaque commemorating its erection. 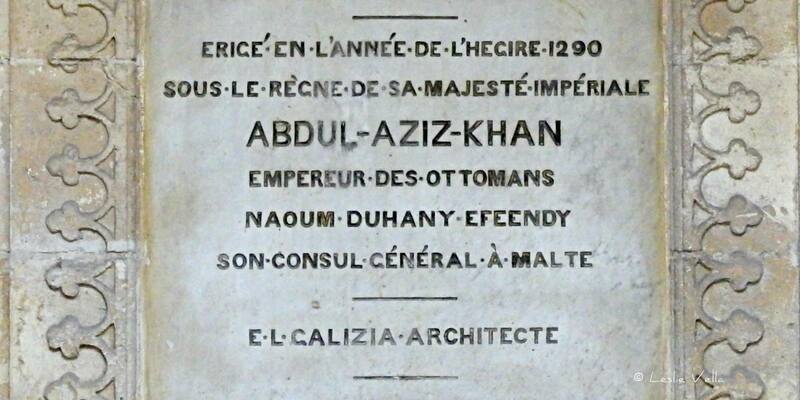 A plaque, which to my mind, represents all that is nice and beautiful about diversity and co-existence. A Moslem Cemetery designed by a Catholic Architect in a Christian Land, by order of an Ottoman Emperor, represented by his Jewish Consul. So much to ponder from a simple seven lines of text on a marble plaque. 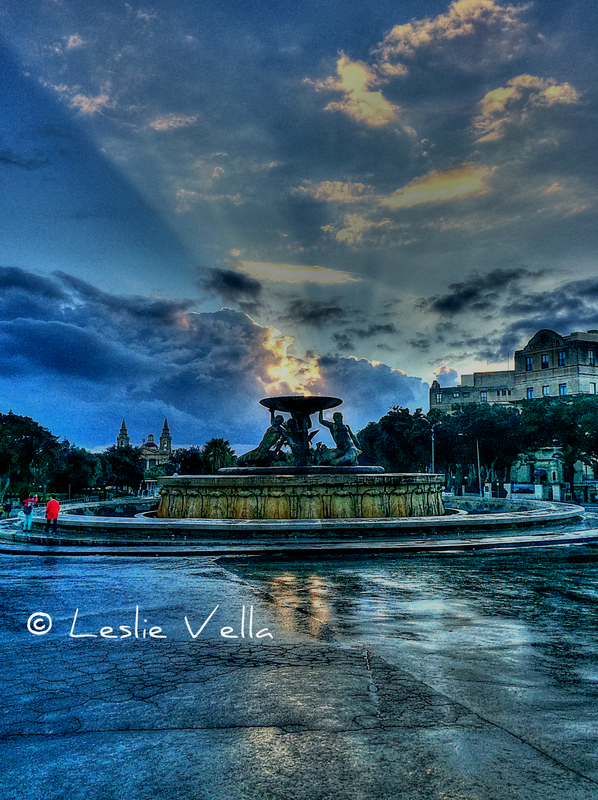 A wet wintry day just outside Valletta’s main gate. The Triton Fountain sporting Vincenzo Apap’s beautiful bronzes from 1959. Above the fountain, the diffuse rays of the setting sun flicker like flames amongst the billowing clouds textured like smoke. The road surface is wet from a recent downpour. A strong image reminiscent of men holding a bowl of burning oil with its leaping flames reaching out into the sky. And all an optical illusion, of course! Captured on my way out of the office during my walk to my car using only a humble mobile phone camera. There is a relatively inconspicuous corner in Valletta’s Upper Barrakka Gardens which houses a simple but artistic monument. The monument consists of a plain white marble column on which stands a beautifully rendered bust of Sir Winston Churchill, wartime Prime Minister of Britain during the Second World War. aimed at creating a strong joint resolve between him and Roosevelt before the decisive Yalta Conference which many see as the birth of the Cold War which was to follow the hostilities of the war which was about to be concluded. 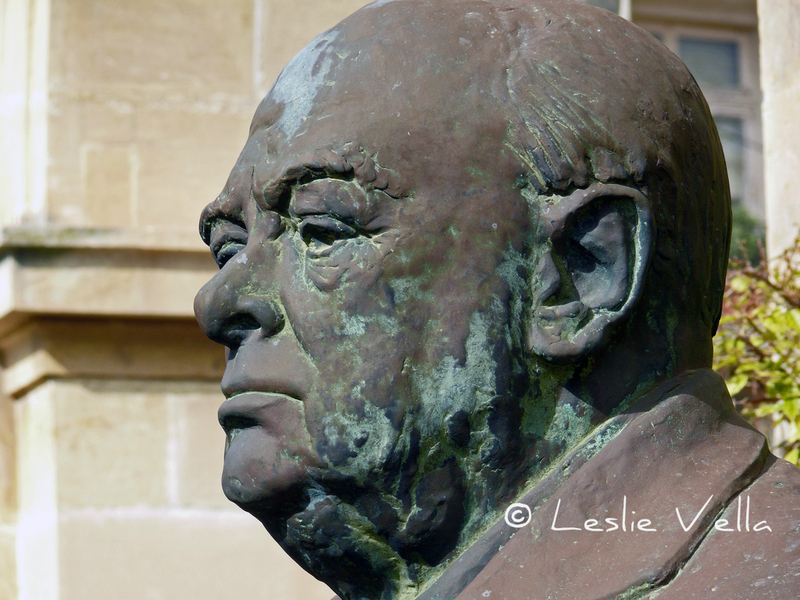 Churchill uttered numerous words of praise about Malta, indicating a love and respect for the island both during times of peace and times of war. In one description he wrote, “You should see the hot stones of Malta, baking and glistening on a steel-blue Mediterranean.”, while during the height of the Axis siege in 1942 he wrote to his Chiefs of Staff, “The fate of the island is at stake, and if the effort to relieve it is worth making, it is worth making on a great scale… the Navy will never abandon Malta”. It was Churchill who in the summer of 1942 guaranteed the success of the greatest sea-going convoy of the War, Operation Pedestal, by convincing the Americans to release the fastest oil tanker in existence at the time, Texaco’s SS Ohio to re-supply Malta before its fuel, food and ammunition ran out. The personal files he kept on Malta during the war exceeded one thousand pages of notes, memos and minutes on matters relating to the island. 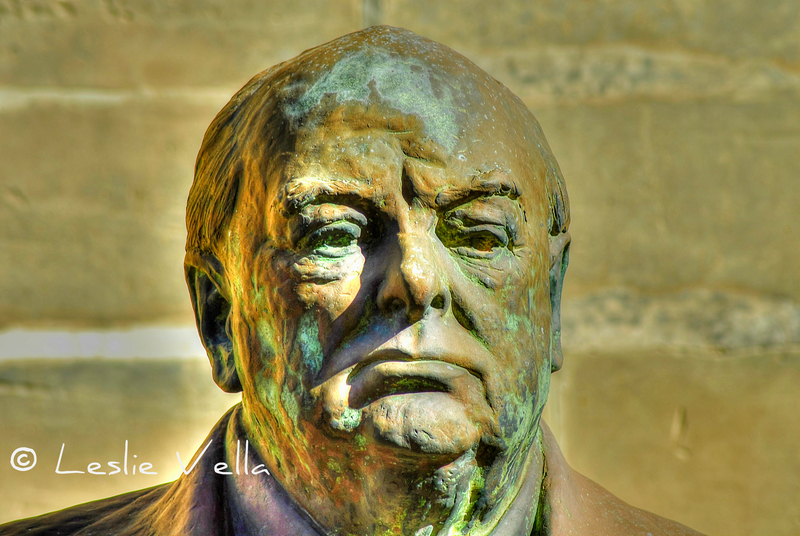 The Maltese people had a lot of admiration for Churchill and in 1955, through public subscription, commissioned the prolific Maltese sculptor Vincent Apap to produce a lasting monument for presentation to the heroic leader on the occasion of his eightieth birthday. Apap travelled to London and managed to model the clay bust over the course of a number of sittings at the famous number 10 address in Downing Street. 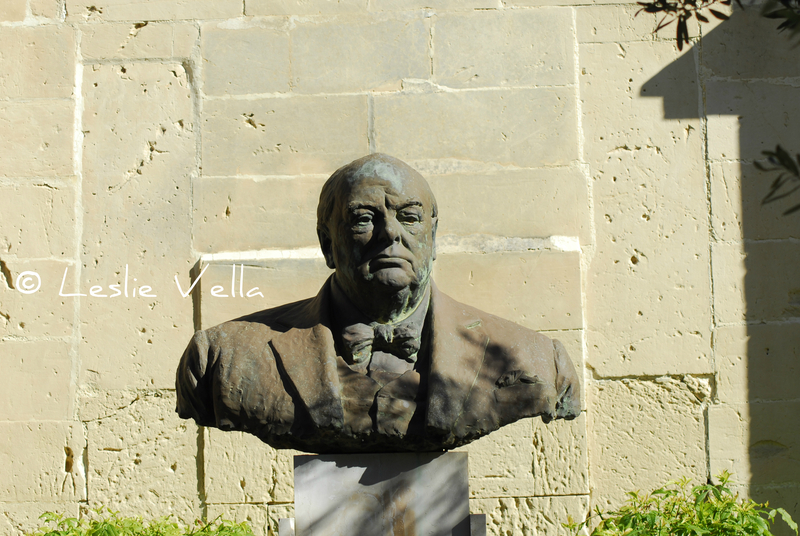 The resulting bronze bust was presented to Churchill by Judge Anthony Montanaro Gauci on August 3rd 1955, after which it was returned to Malta and placed in Valletta’s Upper Barrakka Gardens, overlooking the Grand Harbour on Churchill’s own request. What many consider to be among sculptor Apap’s finest works stands to this very day in the location it has graced for almost sixty years. Definitely worth at least a small stop to enjoy its artistic beauty and the story it tells from a rapidly fading past. Fall of a fort: Malta, 23 June 1565. I have today acquired a beautiful piece of art, a fitting Christmas gift which besides its inherent artistic beauty also captures a dramatic episode in Malta’s history. 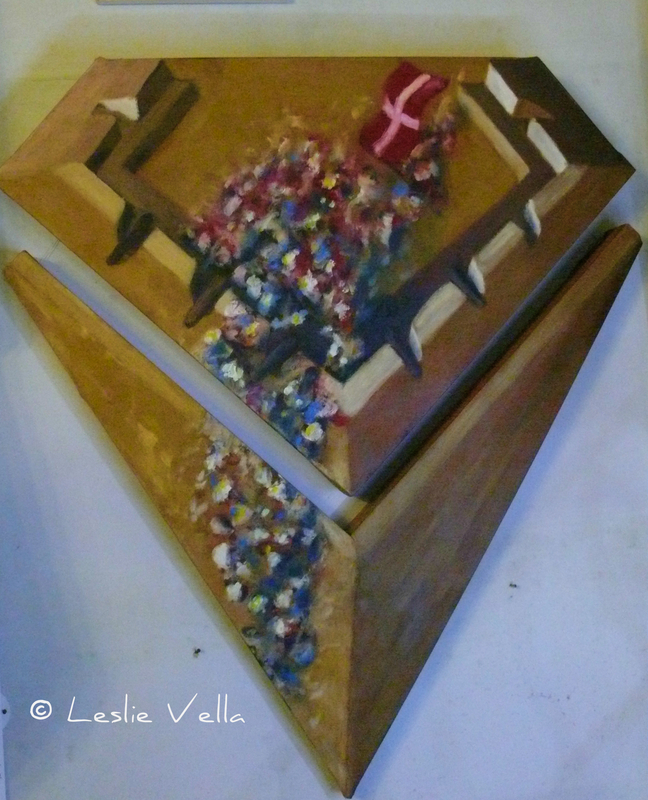 A three dimensional painting by my old schoolmate and established artist John Busuttil Leaver featuring the Fall of Fort St. Elmo during the Great Siege of Malta on 23 June 1565. The Fall of St. Elmo. An epic story of courage, a glorious chapter in a siege which pitted the superior strength of over 35,000 besieging Turkish Ottoman forces against an inferior force of around 6,500 defenders comprising 3,000 Maltese soldiers together with 500 Knights of St. John and a mercenary army of around 3,000 Spanish, Italian, Sicilian, Greek and other nationalities from the Spanish Empire. The Siege was meant to be a foregone conclusion. The cream of Ottoman Sultan’s Suleiman the Magnificent’s forces pitted against a ragtag army of Knights and untrained troops seeking shelter behind the walls of rapidly repaired battlements on a sun-baked, rocky island located on the front-line of two warring faiths. A Siege whose significance was far greater than the tiny island on which it was fought. For both sides knew that Malta held the key to the control of shipping between the East and West Mediterranean. Coupled with the fact that whoever held Malta and its deep water harbours could use it as a base to attack Christian Europe. Via the island of Sicily, 100 kilometres to Malta’s north, whose exposed coastline earned it the title of Europe’s soft underbelly: a very descriptive term which cuts no corners in explaining Europe’s vulnerability to attack should Malta have fallen to the Ottomans. The Ottomans reached Malta on 18 May 1565 having set sail from Istanbul with a fleet of 193 vessels at the end of March. After disembarking in Marsaxlokk and reconnoitering, they took stock of the defences which they needed to subdue: the inland town of Mdina with its crumbling walls, the town of Birgu with its strong walls and the bulwark of Fort St. Angelo and the newer settlement of Senglea with its new walls and its stronghold of Fort St.Michael. The final obstacle consisted of a small, but modern star-shaped fort called St. Elmo guarding the entrance to the island’s two deep water harbours at the tip of the Sceberras Peninsula. Turkish opinion was divided when it came to deciding which of the strongholds to start besieging. The commander in charge of the land forces, Mustapha Pasha, was all for going straight for the strongest defences, in the belief that once the strongest defences fell, the rest would give up without a fight. But his co-commander in charge of the Sultan’s fleet, Piali Pasha, insisted that tiny St. Elmo should be the first target, as its downfall would enable him to protect his precious fleet inside a safe harbour. Piali’s opinion prevailed and tiny St Elmo, with its small garrison of Knights and infantry faced the Turkish onslaught. The Turks initially estimated that the tiny fort, cut off as it was from the rest of the defences, and facing the incessant firepower of their artillery coupled with the pinpoint accuracy of their snipers, would fall within a matter of days. What they did not reckon was that the defenders, led by the wily Grandmaster of the Knights Jean de la Valette, were quietly replenishing the beleaguered garrison with men and munitions under cover of darkness by crossing over with small boats in the darkness of the night while the Turks were resting after a day’s bombardment, and ferrying the wounded over the Fort St. Angelo. However, the fall of St Elmo was considered by all to be a matter of when and not if, and de la Valette’s protracted game was only meant to waste Ottoman lives, ammunition and time before the assault on the main defences began. In this, the tiny Fort and its defenders emerged with the greatest of honour for they managed to withstand a horrific, one-sided siege not for the few days as per the original estimate, but for a full, astounding 36 days of non-stop bombardment which stopped only for assault upon assault by crack Janissary troops to take place against the puny fortress and its small force of defenders. The painting portrays the final moments of the Fort on 23 June 1565. It is still flying the Knights’ banner as its stricken defenders make one last attempt to delay the unstoppable flow of besiegers: frustrated men wishing to avenge the death of 6,000-8,000 of their comrades, including half of their elite Janissaries and the famous veteran corsair, Turgut Re’is. The Great Siege of Malta was far from over when St. Elmo fell on 23 June. It was to go on until the 8 September when the Turks finally abandoned their plans and set sail for Istanbul which they were to re-enter under cover of darkness to hide their shame at failing to take their prize. The British formally ruled Malta between 1814 and 1964 for a total of 150 years. During this period, the longest serving British monarch was undoubtedly Queen Victoria who ruled for sixty three years and seven months, which was a longer reign than that of any other British monarch and the longest of any female monarch in history until overtaken by Queen Elizabeth II in 2015. 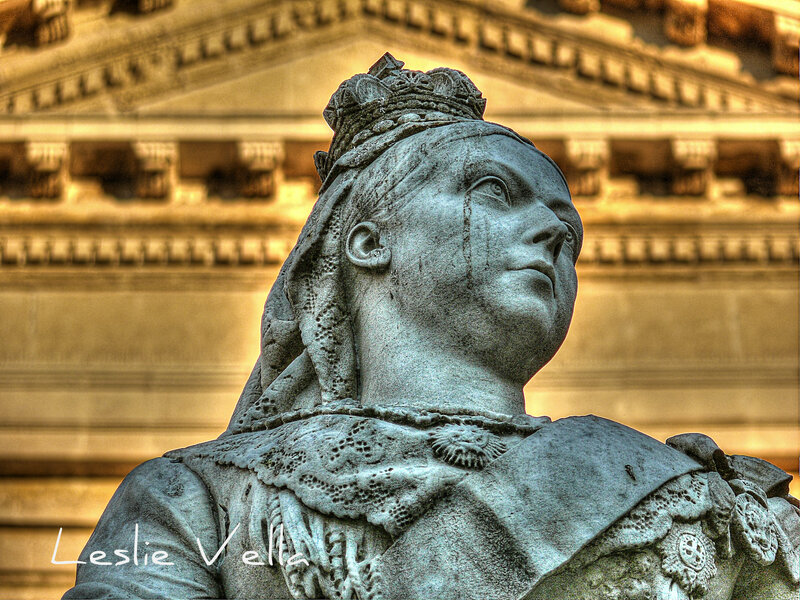 Memories of Victoria’s reign in Malta are generally related to place names. The capital of the island of Gozo, Rabat, was renamed Victoria in 1897 on the occasion of her Diamond Jubilee while the largest British fortification on Malta, a defensive infantry wall criss-crossing the island at its widest point from east to west along a geological fault is known as the Victoria Lines. A residential area known as Victoria Gardens also probably owes its name to the Victorian era. 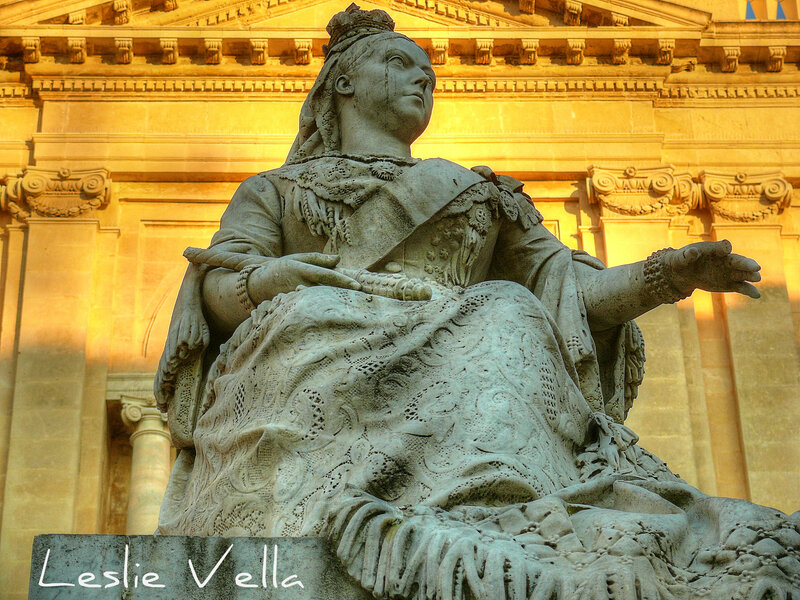 However the most visible and universally known manifestation of Queen Victoria in Malta is undoubtedly the white marble statue that graces the paradoxically named Republic Square in the capital, Valletta. Such is the presence of the statue, with the monarch on an elevated pedestal, staring haughtily at an unfocussed point across the square, that the space is universally known as Pjazza Regina or Queen’s Square in spite of its obviously anti-royalist nomenclature! 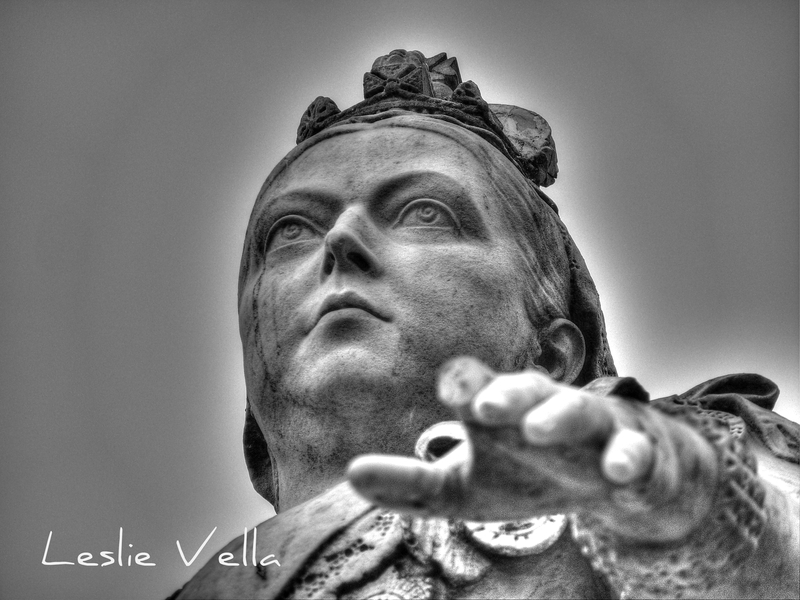 The monument is the work of the Sicilian sculptor Giuseppe Valenti and was erected in 1891 to commemorate Victoria’s 50th anniversary as monarch. It survived the intensive bombings of the Second World War which leveled most of the buildings surrounding it and only sports minor damage in the form of a chipped index finger. Over the decades it also bore the brunt of thousands of pigeon droppings but was recently given a good clean-up and had some minor damage repaired by a team of restorers in 2011. Haughty Queen Victoria’s most humanly touching link with her Maltese subjects is reputed to have taken place when the Monarch placed an order for ‘eight dozen pairs long and eight dozen pairs short mitts, besides a scarf’ of Malta lace. The objective of this was to encourage the re-emergence of the old art of lace-making “so that the poor would be able to obtain a modicum of enjoyment from their lives”. This small story is unknown by most but is more than adequately represented in the Valletta statue through the intricately sculpted lace shawl covering the Queen’s lap. I have passed by the statue hundreds if not thousands of times in all my years, but never did I actually stop to enjoy the life-like realism and minute detail of the lace shawl: even more so when considering that one is here talking about a marble statue and not something carved out of some softer medium. So next time you are in Valletta stop for a coffee in one of the square’s many cafes and spend some time enjoying this one time ruler of Malta and an empire on which the sun never set, clad as she is in her beautiful and impressive Maltese lace! Malta’s fascinating prehistory is not only of local but of global significance. This is because this phase in the island’s human development gave rise to the renowned temple culture which is reputed to have given the world its first complex constructions in stone. The Megalithic Temples of Malta collectively possess a UNESCO World Heritage Status. This status has also been bestowed directly on the unique Hypogeum of Hal Saflieni, a massive underground burial complex which has no equivalent worldwide. The extent of prehistoric heritage in the Maltese islands is impressively immense. Temples, dolmens, megaliths, tombs, cart-ruts and the foundations of villages dot the landscape. Additional, though less complex, hypogea have been discovered on both Gozo and Malta. The many sites have yielded numerous artifacts to archaeologists, foremost amongst which a variety of representations of the human form. Some of the human statues are easily distinguishable as male or female while others are more difficult to define in terms of gender. 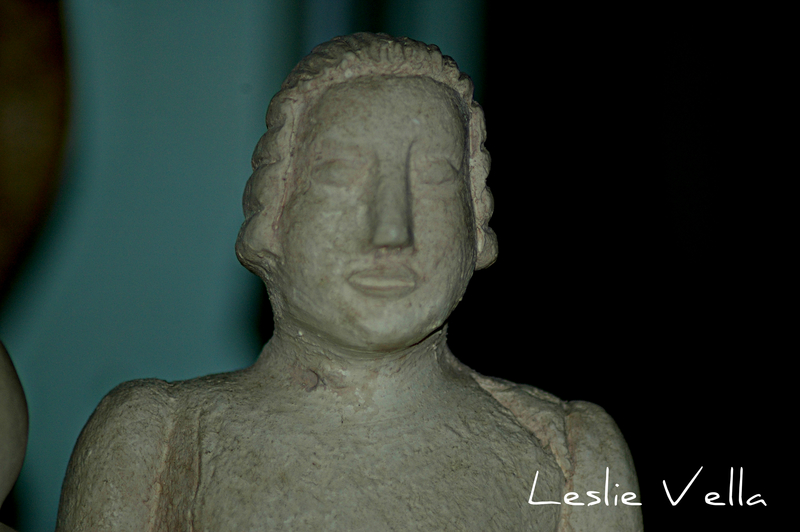 While an entire category of statuettes are headless, the excavations have also yielded a number of statues with heads and stand-alone heads. 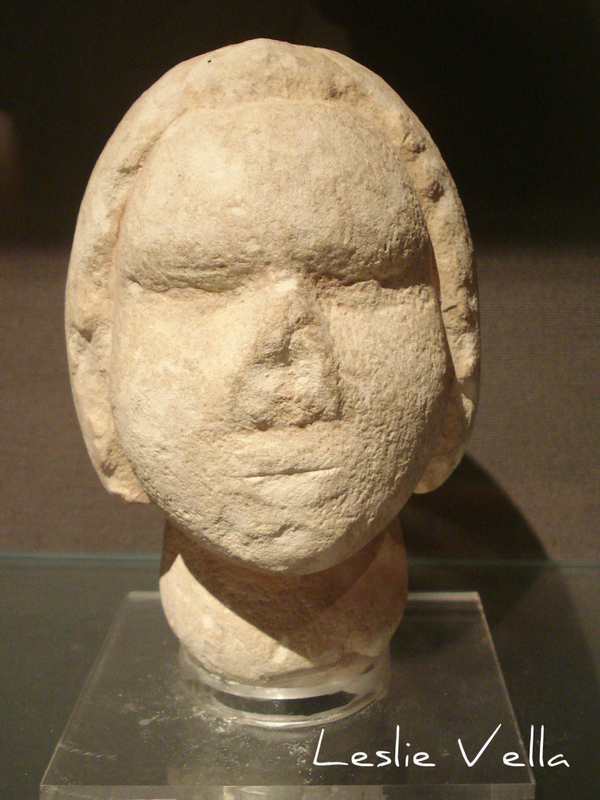 Heads showing refined faces with neat hairstyles and beardless faces: a far cry from the popular yet mistaken notion that all prehistoric peoples fell within the caveman stereotype popularised by cinema and pulp fiction worldwide over the past couple of hundred years. Until recently, these small stone faces provided the best available indication of what the prehistoric temple builders who lived in Malta five and a half thousand years ago looked like. Other than that, the only other evidence came from the skulls found in the tombs and hypogea from which until recently only generic observations such as those relating to skull shape could be surmised. Until recently that is! A Heritage Malta (www.heritagemalta.org) team led by Katya Stroud has just released the findings of some cutting edge research on the skull of a female which was unearthed from the Xaghra Stone Circle on Gozo. Research which has led to the first ever 3D virtual reconstruction of the facial features of a prehistoric Maltese person. Presenting for the first time ever, a scientifically-based representation of what one of the earliest Maltese inhabitants looked like. The work was carried out under the expert guidance and assistance of Professor Caroline Wilkinson (http://www.lifesci.dundee.ac.uk/people/caroline-wilkinson), a Professor of Craniofacial Identification at Dundee University in Scotland. 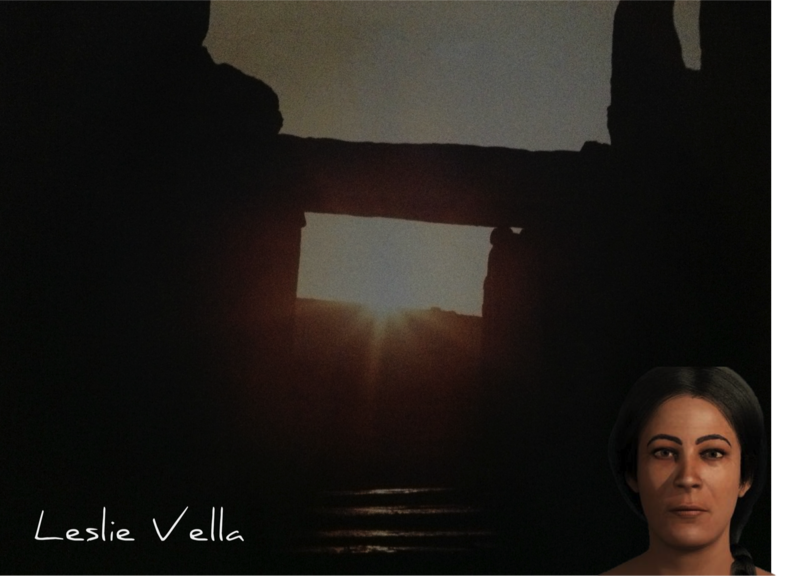 The resulting facial reconstruction, which I have integrated into the above image of the autumn equinox I took at Mnajdra in the late 1980s, shows a person from our distant past who could very easily mingle with modern-day Maltese and pass unnoticed. A facial reconstruction which is not based on mere supposition, but on the latest technology available in Professor Wilkinson’s laboratory. I find this development very touching. 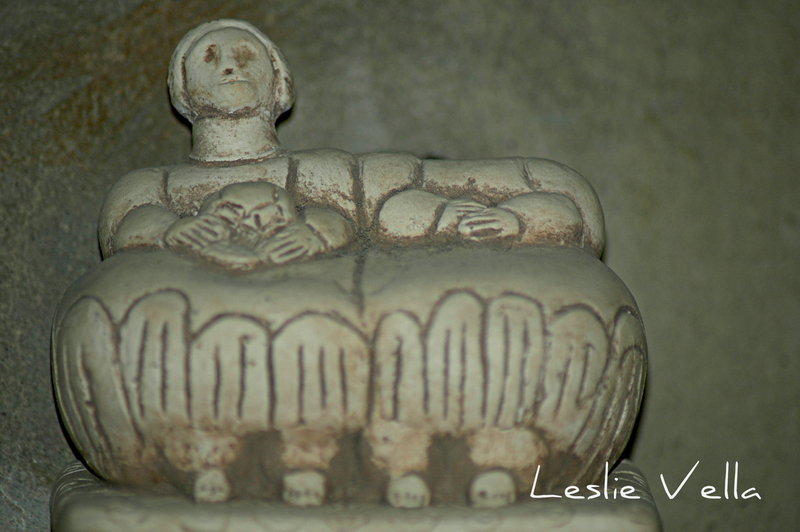 Our prehistoric ancestors left us their buildings and artifacts and their mortal remains. But no images and no written records. So near and yet so far away. A missing link which relegated them to an unreachable, distant past which was too far away. Very different from say the Knights of Malta who left portraits and a wealth of documents in a language we can understand. A faceless, writing-less people about who we could only speculate by interpreting their artifacts. And now we can see what they actually looked like! 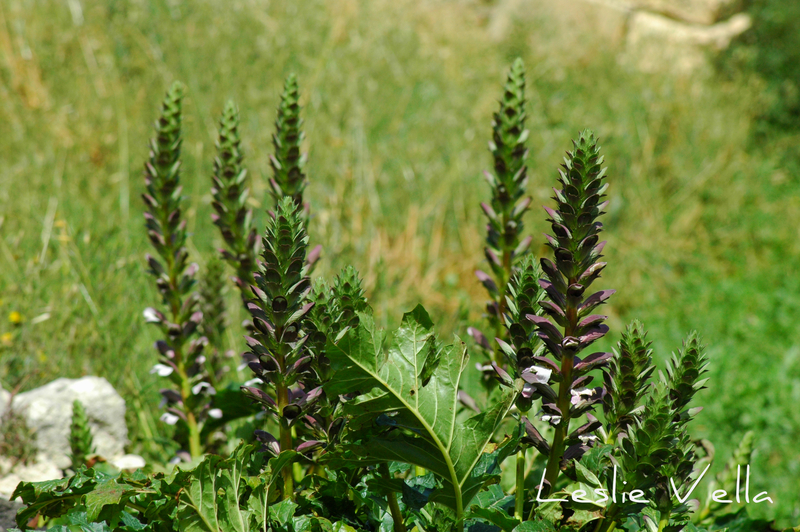 At the moment many roadsides, especially those on the sides of valleys or enjoying some shade are full of a common plant called Acanthus mollis – the Maltese hannewija. 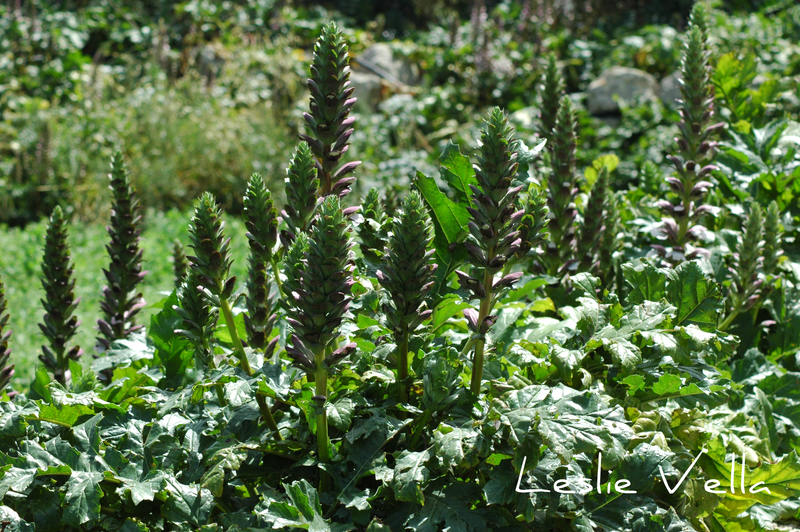 An imposing plant which grows to up to 80 centimetres in height and is very visible owing to its upright floral stem and its tendency to grow in groups. Standing to attention like alert soldiers. A deep green when their surroundings are generally drying as late spring makes way to summer. But besides its natural beauty the humble hannewija has a much bigger claim to fame in the Mediterranean which is its natural homeland. For it forms the inspiration behind one of the three columns of classical Graeco-Roman architecture. Anyone with some knowledge of such architecture will be aware that our classical ancestors designed three types of columns: the plain Doric, the scroll-inspired Ionic and the ornate Corinthian columns. The Corinthian, which is by far the most ornate of the three columns is based on a leaf-motif which was inspired by the acanthus plant’s leaves. These columns were very common in ancient Graeco-Roman architecture and regained popularity in the neo-classical architectural style that emerged in the late eighteenth century and was obviously inspired by the great structures of Mediterranean antiquity. According to legend, the association of the hannewija’s leaves to the Corinthian column goes back to around 500 B.C. An Athenian bronze-sculptor named Callimachus chanced upon a child’s grave upon which there was a basket which was filled with the dead child’s toys. 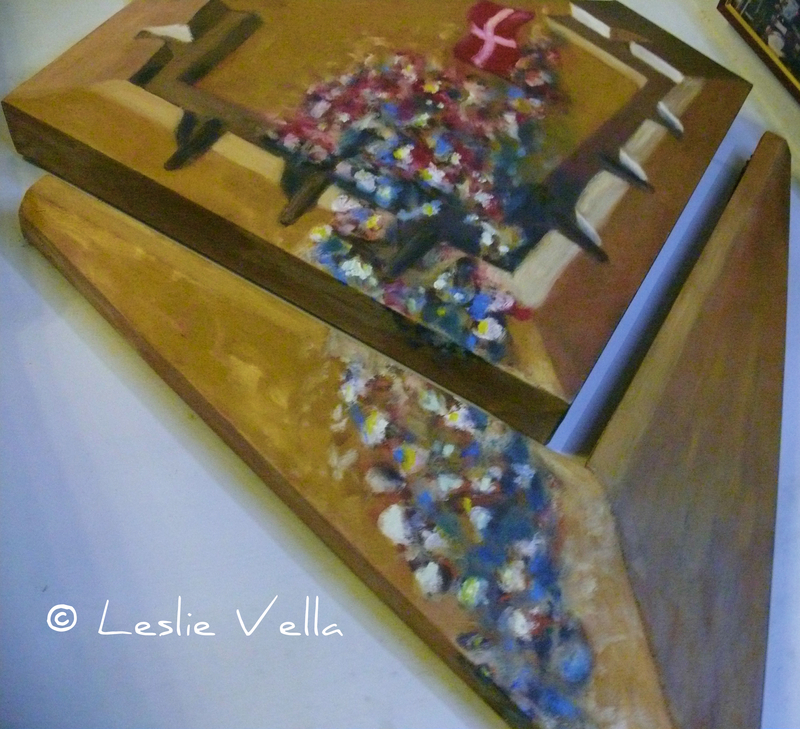 The basket was covered by a large terracotta tile to protect the toys from the elements. 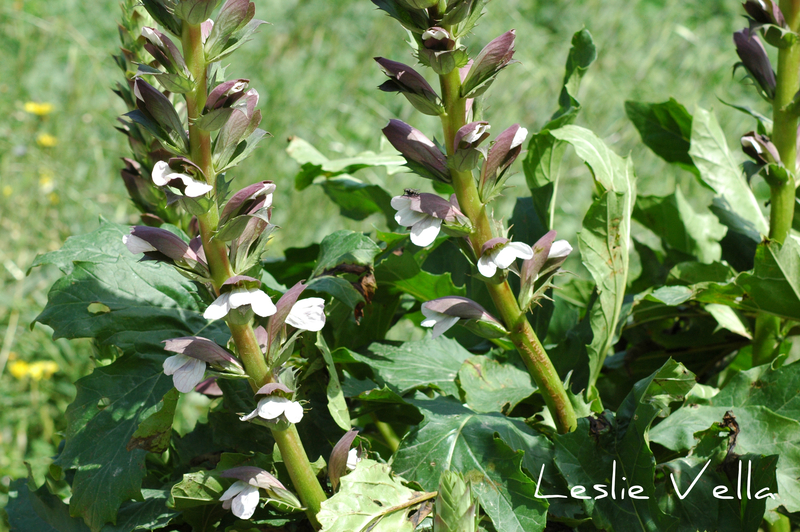 With the passage of time, an acanthus plant which had taken root beneath the toy basket had grown around its edges so that its leaves eventually curled up around it until they touched the base of the terracotta tile. Thus was born the idea behind the Corinthian column which is an artistic rendering of a basket wrapped in acanthus leaves. 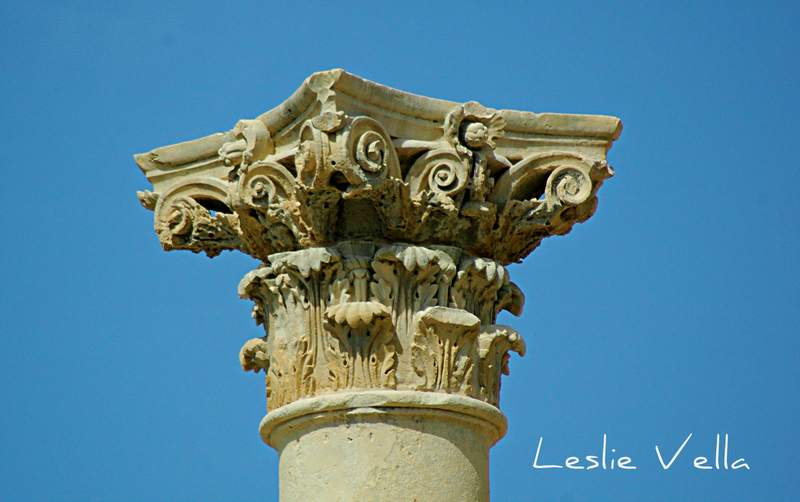 Here in Malta we have numerous examples of neo-classical renderings of the Corinthian column. Walking into Valletta this morning I witnessed two examples: the recently restored columns of the 19th century Royal Opera House and the colonnade supporting the portals of the nineteenth century Palazzo Ferreria opposite the Opera House in Republic Street. So there you have it: a common, nondescript plant which not only beautifies our countryside during the late spring, but which, in association with a touching story from twenty five centuries ago, found itself immortalised in one of architecture’s classic designs. 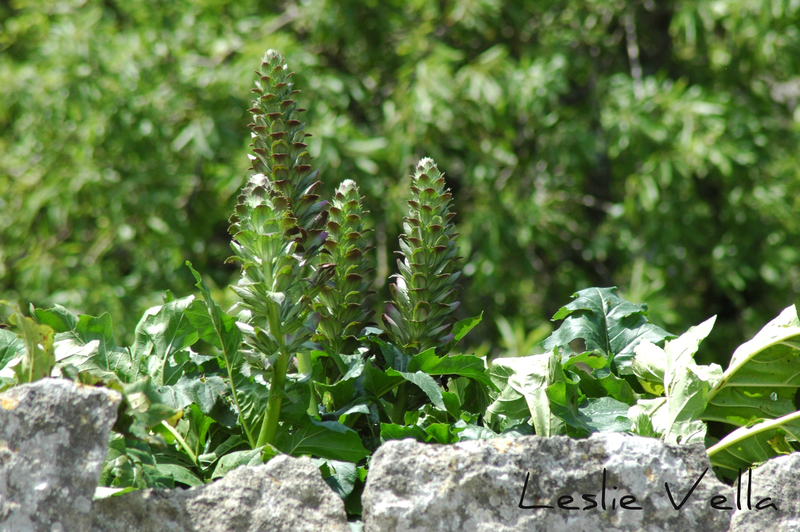 Look out for it in its natural and stone versions and appreciate both as I do.